At Camp Wood YMCA we often refer to alumni, whether it’s regarding reunions, work days or celebrations. But what do we mean by alumni? 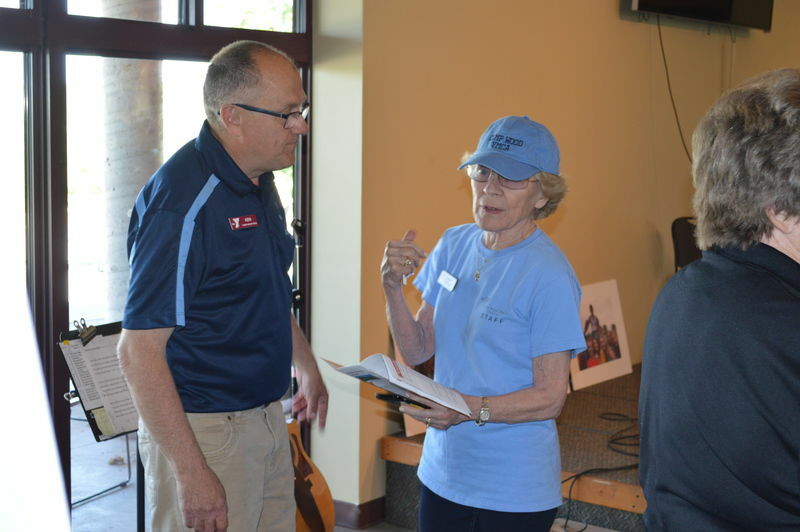 Webster’s Dictionary defines an alumnus as a former member, employee or contributor. 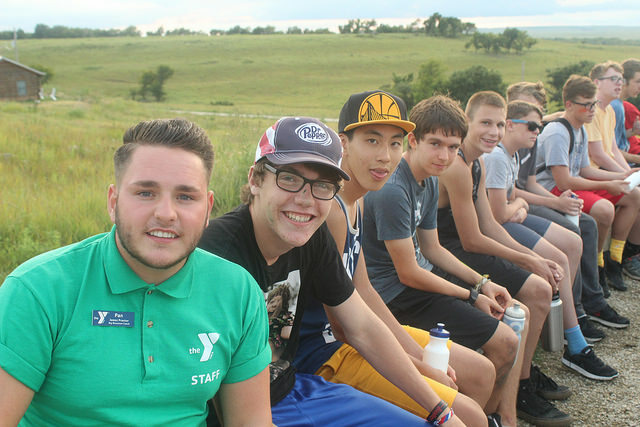 At Camp Wood YMCA, however, alumni mean so much more. We are overjoyed to run into past campers or staff that have fond memories of attending camp 50, 60 or even 70 years ago. Our roots run deep and the love of camp even deeper. We also have many staff and campers that have returned year after year for 10-15 years. It’s a privilege to know this place has helped form happy, confident and successful adults. 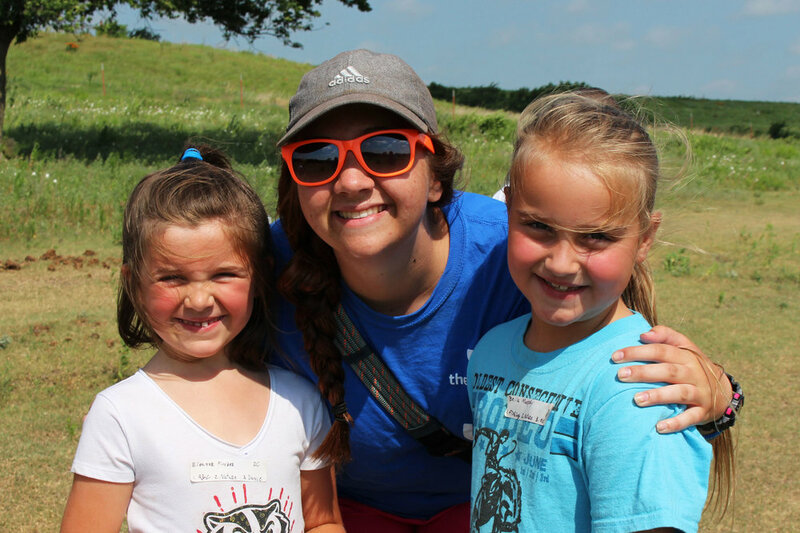 In addition to many generations and multiple years of commitment our alumni are also made up of 5-year-old mini-campers that will get their first camp experience this summer. At Camp Wood, alumni are infants drifting asleep in their mom’s arms during a bonfire at family camp. They are students that spend the day exploring through outdoor education with their school group. Alumni are staff that have dedicated 20 years of service and they are local community kids that come for day camp. Alumni are board members and donors who haven’t been campers but recognize the impact and value of Camp’s mission and spend countless hours and resources seeing that mission come to life. 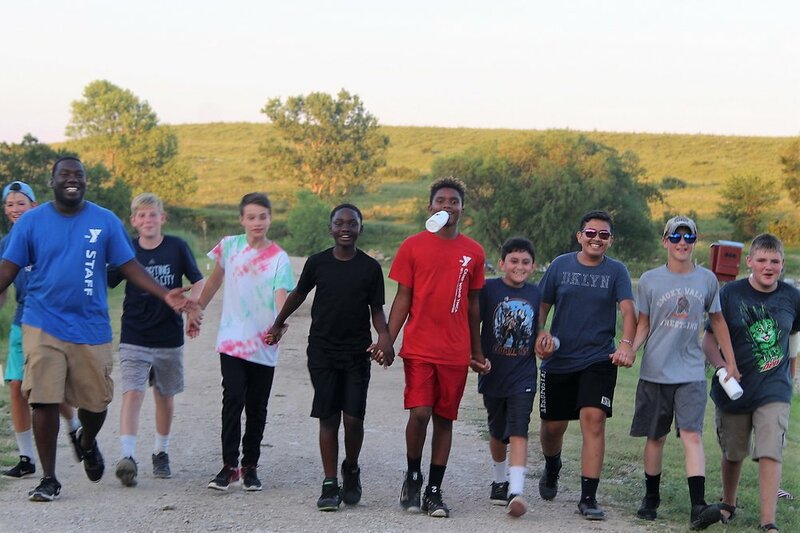 Alumni are parents that invest in camp for their children even though they don’t get to experience it with them because they see their children come home more confident, independent and happy. So, to us, alumni are more than a former member, employee or contributor. At Camp Wood, all are alumni and alumni are family. If there was any question as to whether you are an alumnus of Camp Wood YMCA, the answer is YES! If you have ever been a camper, staff, board member, contributor, or parent of Camp Wood, you are an alumnus. But more than that, if you have had Camp Wood impact you or allowed it to impact someone else then you are not just alumni, you are family and we couldn’t do what we do without you! The sun is shining, the morning birds are chirping, and the wind bends the tallgrasses to their breaking point. As Spring awakens life outdoors, Camp Wood YMCA is starting to get busier than usual as well. 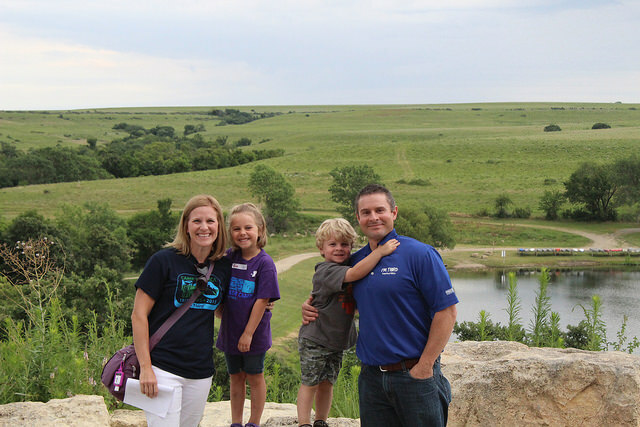 Our unique property, settled in the beauty of the Flint Hills, will soon be coming to life with school groups, church retreats, college leadership trips, and lots of excited families! Wondering how YOU can get in on all the action and bring your group or family to this amazing place? Planning a retreat with Camp Wood YMCA is a simple process and we do everything we can to make your stay as easy and relaxing as possible. 1. Give us a call or send us an email. Let us know what dates you’d like to utilize camp, how many people you want to bring and what services you are interested in such as facilities, programs and meals. We will answer all your questions, get you on the calendar and send you a contract for your stay. 2. Two weeks prior to your stay, check in with your group. Get a head count of all the people coming with your group and any special accommodations they may need during their stay (food allergies, accessibility, etc.). We love to know this information in advance, so we’ll give you a call to find out what information you have for us and how we can make sure your group is as comfortable as possible. This is also a good time for you to send out information to your participants. Remind them about bringing clothes for activities, to prepare for any weather, as well as any bedding or other packing essentials that may be necessary for their overnight stay. Make sure your transportation is all set, as well as chaperones knowing what is expected of them! 3. We’ll give you one more call before you come. A few days before you venture our way, we will check one more time to make sure you have everything you need and to answer any questions you may have. We’ll do a final overview of your schedule, give you a personal point of contact for your arrival and go over any last-minute details. 4. We’re so happy to have you! 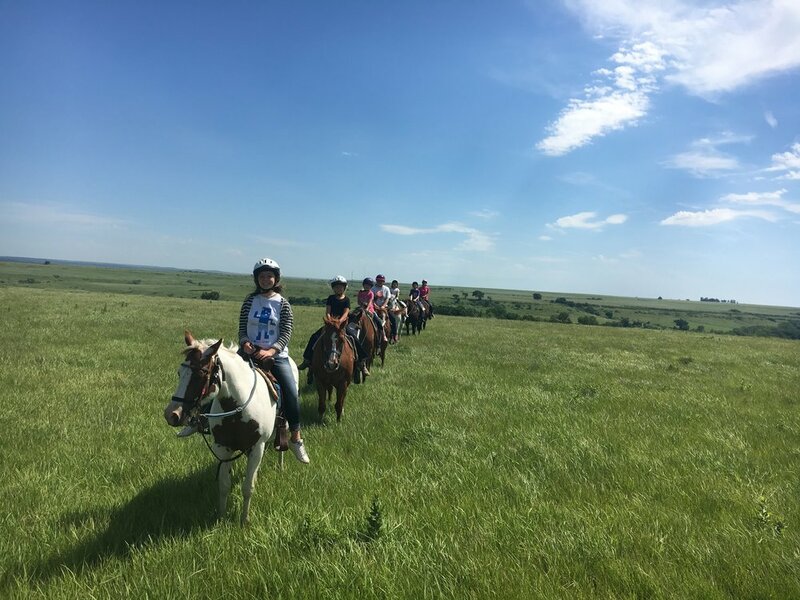 We are so proud of our little piece of heaven, here in the heart of the Flint Hills and we love to share it with others. During your stay, it is a privilege for us to help and accommodate you in any way, so your group can have the opportunity to fall in love with camp like we have. Just as this amazing place is important to us, so are you and nothing pleases us more when people enjoy their experience with Camp Wood YMCA. Do you have a church youth group, sorority/fraternity, school group or family reunion that you think would enjoy a getaway or needs a meeting space? Don’t want to have to worry about planning schedules, activities, meals or clean up? 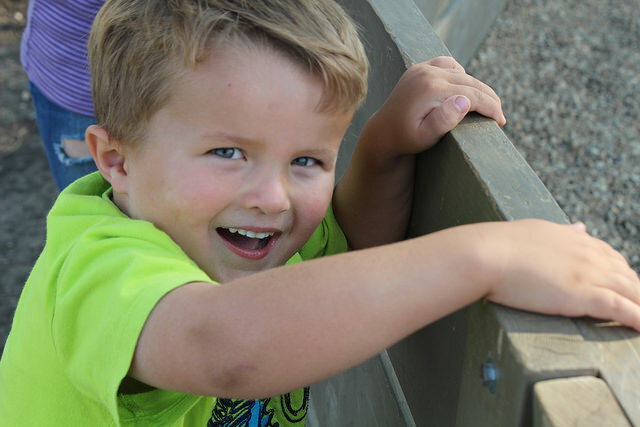 Camp Wood YMCA just might be what you are looking for and the process to book your group couldn’t be simpler. Take the first step and give us a call. We’d love to share our home with you! Valentine’s Day is an occasion to express our love to those special people in our lives that have a way of making every day just a little bit better. Often, it is those people that love without expecting anything in return that not only mean the most to us but make the biggest impact in our daily lives. 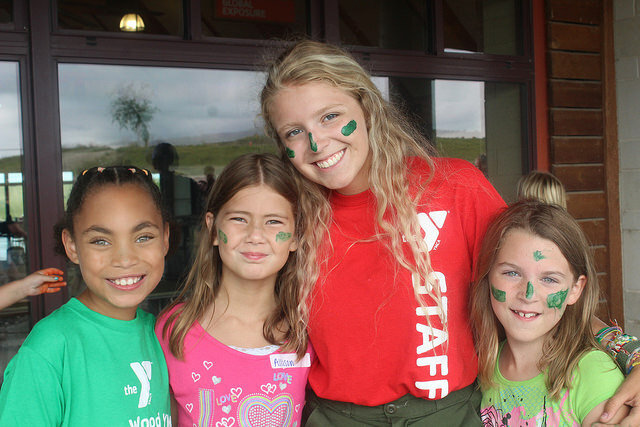 Unconditional love is rarely found, but here at Camp Wood YMCA we are fortunate enough to have many people that devote their time, energy and heart to camp while expecting very little fan-fare or accolades. Some people call them support staff, but we call them heroes. Our unsung superstars put in some of the hardest work of the entire year during what most people often refer to as the “off-season”. Without even the sound of crickets chirping at night, winter time can seem very quiet and somewhat uneventful. Behind the scenes, however, our dedicated staff are making camp buzz with the sound of hard work. This is where you will find Mark, Head of Maintenance and Grounds, 20 feet in the air cleaning every light fixture in Ritchie lodge, and pulling off every air vent to be thoroughly washed. And Rick, Maintenance Staff, painting all the walls and trim in the health lodge. This is where you will find Cheryl, Head of Housekeeping and Dining, moving and deep cleaning every piece of kitchen equipment. And Tammy, Housekeeping Staff, power-washing and vacuuming every inch of floor in the Dining Hall. This is where you will find Nancy, Office Manager, getting everything in line for registrations and making sure all our campers are prepared for the best week of their summer. And Jeri, Book Keeper, getting all that’s needed organized for audits, paychecks and campaigns. This group is lovingly called support staff because camp could not function without their support. And although the work is often dirty, tedious, and demanding it is noticeably done with a spirit of unconditional love for Camp Wood and its mission. They do it because they love the campers. They do it because they want to make every kid, family and guest comfortable. They do it, so our visitors don’t have to sweat the small stuff and feel taken care of. They do it so Camp Wood can stay operating with the utmost levels of integrity in all our day to day operations. And they do all of this without ever getting the hugs at the end of a summer session or getting to see the tears as a camper leaves forever changed by the impact of camp. They do it knowing that even if it goes unnoticed, it matters, and that is a perfect definition of unconditional love. So, join us, on this day of celebrating love, in thanking these unsung heroes and their dedication to Camp Wood YMCA. We wouldn’t be the same without them!